In this tutorial I will demonstrate a classic technique to match colors in Adobe Photoshop. I discovered this technique in the beginning of time and it is still just as helpful today. This technique uses the RGB, grayscale channels to adjust colors within an image. According to a recent press release, Canon is planning on purchasing roughly 14 million of its own shares – at an estimated cost north of $450 million dollars (50 billion yen) – with the "...aim of improving capital efficiency and ensuring a flexible capital strategy that provides for such future transactions as share exchanges." The stock acquisition is scheduled to take place June 1 through July 14, 2017. 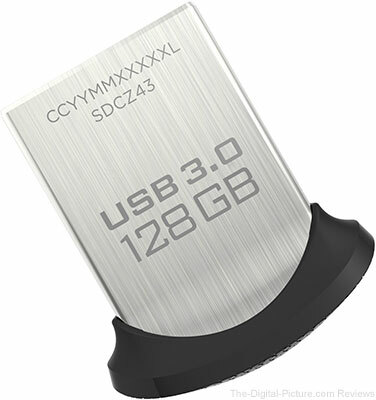 Amazon has the SanDisk Ultra Fit 128GB USB 3.0 Flash Drive available for $24.99. Regularly $39.99. 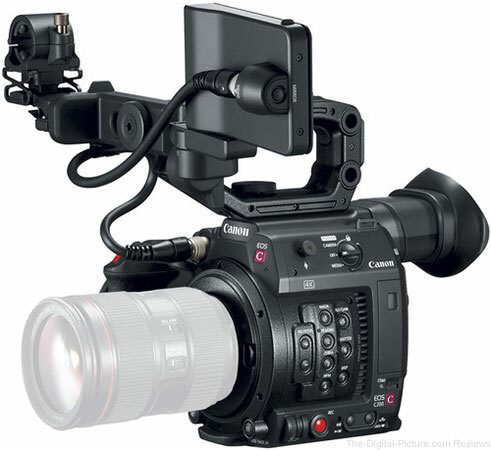 The Production Brief covers many of the features found in the C200, including the detached touch-screen monitor, built-in dual rotary ND filter and 4-channel audio. The Post-Production Brief covers available recording formats including Cinema RAW Light. B&H will carry the Canon EOS C200 Cinema Camera. 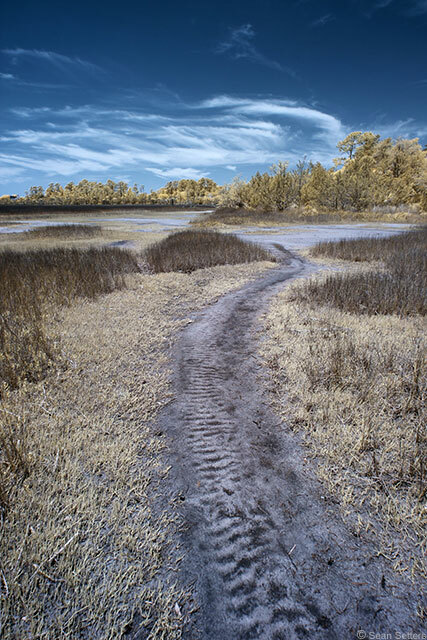 With a moderate temperature and sparse clouds overhead, I set off with the goal of photographing a local marsh with my infrared converted Canon EOS 7D and EF-S 10-18mm f/4.5-5.6 IS STM. I was particularly interested in photographing the dormant trees often found in such locations. After a little exploration, I found an area behind an apartment complex that seemed perfect. The marsh was mostly dry and featured obvious walking paths used by nearby residents. The dry marsh featured dozens of dormant trees which I intended on photographing as my primary subjects, using the wide, flat marsh and blue sky as a backdrop. However, I photographed several trees but was unsatisfied with my results. And then I started thinking about my composition. A good landscape image needs to have a distinct foreground, middle and background, or else it needs an element that guides the eye through the composition. When photographing the trees with an ultra-wide angle lens, the images had a distinct foreground and background, but the lack of an element clearly connecting the two – guiding my eye through the scene – resulted in boring photographs. With that revelation and a fresh set of eyes looking at the scene, I began searching for ways to connect the foreground and background in the composition. The answer appeared just beneath my feet. The curved pathway that snaked through the scene seemed ideal for leading a viewer's eye through the image. If the path had been straight, it wouldn't have had the same effect. But with a gentle S-curve running from the foreground through the middle part of the image, the resulting composition (including interesting clouds) proved to be my favorite shot from this outing. Of course, the image doesn't feature one of the trees I was so anxious to photograph, but... the trees aren't going anywhere, so I'll likely try again another day. As the first Cinema EOS camera to support the new RAW recording format – Cinema RAW Light – the EOS C200 provides the same flexibility in colour grading as Cinema RAW in a smaller file size, enabling filmmakers to record internally to a CFast 2.0 card. The EOS C200 features Canon’s 4K Super 35mm CMOS sensor with an effective pixel count of 8.85MP, along with the newly developed Dual DIGIC DV6 image processors. As a result, it can deliver Cinema RAW Light recording at 4K DCI 50P internally to a CFast 2.0 card. It can also deliver 4K UHD recording at 150Mbps, and 2K or Full HD at 35Mbps to SD cards in MP4 format. Canon has worked with several partners to ensure Cinema RAW Light is integrated with various software programs. As a result, editing and grading of the Cinema RAW Light video format will be supported in DaVinci Resolve of Blackmagic Design. Editing will be possible in Media Composer from Avid Technology, using Canon RAW Plugin for Avid Media Access. This format can also be processed using a Canon application, Cinema RAW Development. Support for Cinema RAW Light is also scheduled for EDIUS Pro, Grass Valley’s editing software, during 2017. Additionally, a future version of Final Cut Pro X from Apple Inc. will support Canon’s Cinema RAW Light, using Canon RAW Plugin for Final Cut Pro X. So. Burlington, VT – May 30, 2017 – LPA Design, manufacturers of PocketWizard Photo Products, the global leader in reliable wireless control of cameras, flash lighting and light meters, announces the new FlexTT6 Transceiver for Canon – the latest in PocketWizard’s flagship TTL radios. With new under-the-hood technology, it is compatible with the Canon 5D Mark IV, 1D X Mark II, 80D, 77D, T7i and T6 cameras, along with Canon’s 600 EX II-RT and 430 EX III-RT flashes. It is legacy compatible with more than 20 additional Canon cameras and flashes. The FlexTT6 addresses faster camera sensor speeds and is future-proof for next generation camera releases. The new FlexTT6 includes all the features and reliability as the FlexTT5, such as TTL, HSS and PocketWizard’s patented HyperSync technology. B&H has the PocketWizard FlexTT6 for Canon available for preorder. MELVILLE, NY – Today, Nikon Inc. introduced the new COOLPIX W300, a rugged compact camera designed to capture and share high-quality images and 4K UHD video of any adventure with ease. The waterproof, shockproof, freezeproof and dustproof W300 is well-equipped with intuitive features to chronicle an action-packed excursion, whether a user is hiking, camping, skiing or relaxing on the beach. The W300 makes it easier to shoot in the moment with an improved grip and handling, a large 3-inch LCD display and a 5x optical zoom NIKKOR lens with an exceptionally wide field of view. Furthermore, the W300 allows users to seamlessly share their latest adventures with built-in Wi-Fi3 and Bluetooth2 via the Nikon SnapBridge app1. 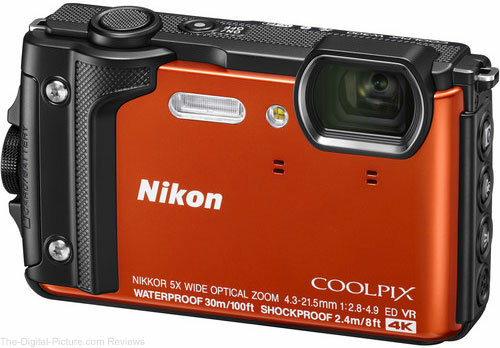 The COOLPIX W300 will be available in Summer 2017 in orange, yellow and black for a suggested retail price (SRP) of $389.95. MELVILLE, NY – Today, Nikon announced three exciting new wide-angle NIKKOR lenses to give a diverse array of users’ brilliant image quality and maximum versatility whether shooting vast landscapes, architecture, interiors, events and many other wide-angle applications. The new ultra-wide zoom and lightweight DX-format AF-P DX NIKKOR 10-20mm f/4.5-5.6G VR is an excellent value for budding shutterbugs and novice shooters looking to explore a wide-angle point of view, while the new AF-S Fisheye NIKKOR 8-15mm f/3.5-4.5E ED is an FX-format circular fisheye zoom lens for photographers and content creators who desire a truly unique perspective. Lastly, the new AF-S NIKKOR 28mm f/1.4E ED is a superior prime lens that provides professional and advanced photographers the ultimate in wide-angle image quality. Both the AF-S Fisheye NIKKOR 8-15mm f/3.5-4.5E ED and AF-S NIKKOR 28mm f/1.4E ED are the latest additions to the Gold Ring Series of NIKKOR lenses, a mark identifying Nikon’s premium lens offerings. The optical formula of the Fisheye NIKKOR 8-15mm consists of three ED elements to reduce chromatic aberration, while two aspherical lens elements minimize coma, even at the widest aperture, and enable a more compact lens size. Additionally, the front lens element is coated with Nikon's non-stick Fluorine coat to help resist dirt, fingerprints and smudges, while Nikon’s exclusive Nano Crystal Coat helps reduce ghost and flare. The Nikon AF-S Fisheye NIKKOR 8-15mm f/3.5-4.5E ED will be available immediately for a suggested retail price (SRP) of $1249.95. The AF-P DX NIKKOR 10-20mm f/4.5-5.6G VR and AF-S NIKKOR 28mm f/1.4E ED will be available in late June for a suggested retail price (SRP), $309.95 and $1999.95, respectively. 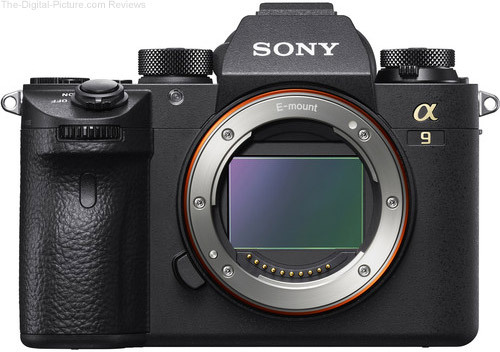 LensRentals has the Sony a9 Mirrorless Camera in stock and available for rent. In this episode Mark Wallace demonstrates three ways to add light to interior room to match the bright light from the sun. After watching this tutorial you'll be able to balance the light so your interior shots look natural with the light from outside. Mark shows how you can use a speedlight, a small off-camera flash, and even a fully manual studio setup. Photography Lighting 101: Why Do I Need an Off-Camera Flash? Before we address the need for off-camera flash, it's vital to understand why investing in any flash – whether it be an on-camera shoe-mount flash or a studio strobe – is worthwhile. While beautiful, natural, soft ambient light is ideal, many times circumstances don't line up with pre-scheduled portrait sessions. With a flash (or multiple flashes) in your kit, you gain the ability to create the ideal light wherever and whenever you need it. Now let's say you have invested in a shoe-mount flash. However, with the shoe-mount flash mounted to the camera's hot shoe and pointing forward, you find your portraits don't look quite right. There's a good reason for that. Think of it this way – how often do you view the world with a bright, small sized light emanating from your forehead? My guess is... not often (outside of you spelunkers out there). When you view the world day in and day out, light is usually generated from many different sources, and therefore, it comes from varying directions (but as we established, rarely from your forehead). One way to change the size and direction of your camera mounted flash's output is to swivel the flash head and bounce the light off of a nearby neutral colored wall or ceiling. For flash owners, this is the first and easiest step to improving the look of images taken using [on-camera] flash. But unfortunately, bounce flash is not a panacea. Sometimes there isn't a nearby surface suitable for bouncing your flash, and other times you may want more control over the light than this option permits. Now let's consider positioning the flash in a location other than the camera's hot shoe. With the flash off-camera, more natural looking portraits can be created compared to portraits utilizing on-camera (especially bare, pointed forward) flash. With a huge array of light modifiers available, each influencing your flash's light quality in a unique way, the possibilities for creative, compelling and professional looking imagery are endless. In the next installment in this series, we'll take a look at the various types of off-camera flashes and studio strobes. Permalink: Photography Lighting 101: Why Do I Need an Off-Camera Flash? Added support for the D7500. Added support for Picture Control > Auto. Changed the Crop tool 11:7 crop to 10:7. Improved thumbnail display quality for JPEG images that contain only small thumbnails. White would print as light grey when Use this profile when printing was selected for Color Management > Printer Profile. Capture NX-D would quit unexpectedly if the Retouch Brush tool was displayed in full-screen view. Facebook login could not be used. Images modified using Exposure compensation or White balance with On selected for Auto Red-Eye would sometimes not display correctly. Picture Control Utility 2 can now be launched from a Picture Control > Edit button in the Image Processing panel. With the release of Camera Control Pro 2 version 2.25.0, Picture Control Utility 2 can now be launched using the Edit button next to Picture Control in the Camera Control Pro 2 Image Processing panel. Made improvements regarding an issue which resulted in connections between the camera and iOS 10.2-compatible versions of the SnapBridge 360/170 app becoming unstable. Note: Users of iOS 10.2 will also need to upgrade the SnapBridge 360/170 app to the latest version, which supports iOS 10.2. We have found that the combination of SIGMA MOUNT CONVERTER MC-11 (SA-E and EF-E) and some of SIGMA's interchangeable zoom lenses may not focus precisely, if it is attached to SONY a9 (ILCE-9), released by SONY in May in 2017. When using AF-S mode and shooting in telephoto range, it could occasionally display the shot is in focus, although it may not properly be focused on the subject. We apologize for the inconvenience experienced by customers who use these products. We are now investigating the phenomenon and will make a further announcement on the website shortly.